Volkswagen enriches its large family of SUV by giving birth to an urban suv called T-Cross. 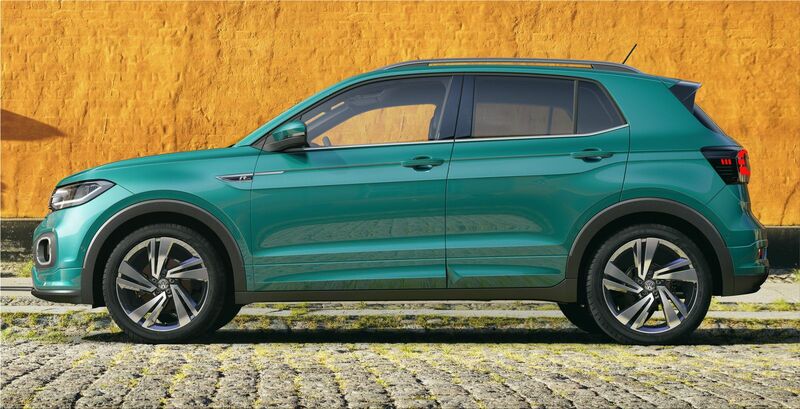 Be prudent not to confuse it with the T-Roc, his younger sibling in the upper segment, that of compact SUVs. The T-Cross is likely to have a strong chance in competing with the Renault Captur, Peugeot 2008 and Citroen C3 Aircross. 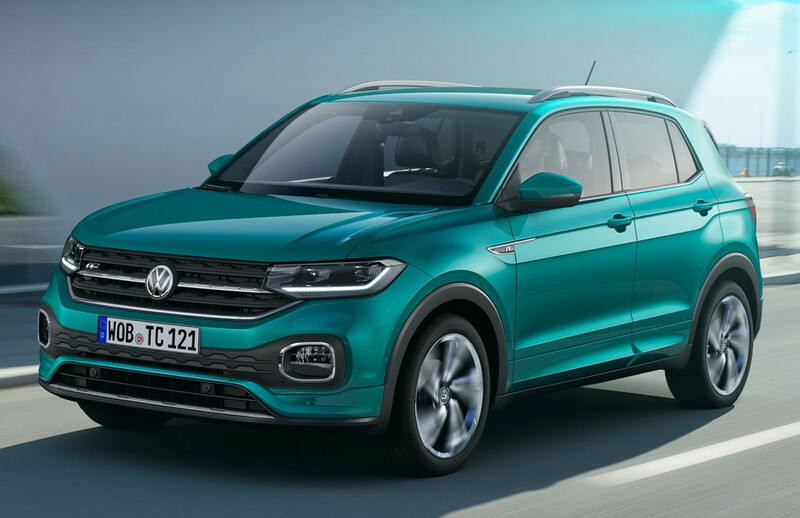 Close to the size of a Polo, the Volkswagen T-Cross has a length of 4,107 m. However, it's very smart design should not allow it to stand out from the many competitors crossing the urban jungle. T-Cross has rims ranging from 16 to 18 inches that can be colored. Even if the aesthetic influence of the Polo is present, the T-Cross manages to stand out with a large front inspired by the Tiguan and a high hood strengthening the impression of robustness. Inside, we discover a dashboard very similar to that of the Polo. From a powerful driving position, the driver profits from fully digital instrumentation merged on a 10.25-inch digital panel. The trunk volume is between 385 and 455 liters, a capacity that reaches 1,281 liters when the bench is folded, large numbers for its class. It is also useful to fold the back of the front passenger seat to allow the loading of long objects. On the technical side, VW's small SUV is based on the MQB A0 platform, also used by the Polo or Arona. At launch, there are several three-cylinder turbocharged, the 1.6 TDI 95 hp (BVM5 / DSG7) diesel, as well as 1.0 TSI 95 hp (BVM5) and 1.0 TSI 115 hp (BVM6 / DSG7) gasoline. Later this year, Volkswagen will conclude the offer with the 1.5 TSI 150 hp petrol engine. It gets a six-speed manual gearbox as standard or you can also have it with a seven-speed automatic. The T-Cross will be marketed in April 2019 with a starting price of $22500 (€ 19,820).